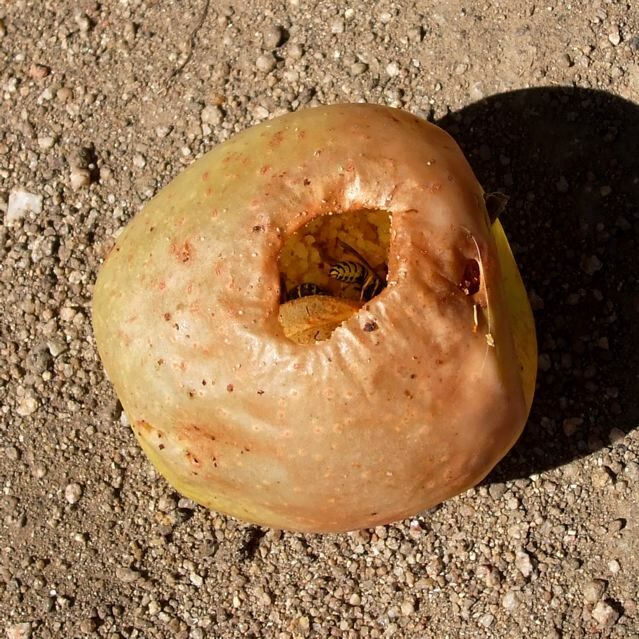 It’s an apple that’s been completely hollowed out by wasps; there’s nothing left but the core, the translucent skin and some odd little granules. I think it’s sorta pretty. yea,wasps, they help in the garden, generally, i guess.